The Art of Living Foundation proudly invites you to Get Happy Seattle – a 2-day immersive experience featuring Sudarshan Kriya, meditation and a special session with the Guru of Joy and a distinguished authority on meditation, Sri Sri Ravi Shankar, on July 7th & 8th from 6:30pm – 9:30pm at the Meydenbauer Center in Bellevue, WA. This historic event is the culmination of the Get Happy campaign – an initiative to spread waves of happiness in the Seattle metro area creating a stress-free society by providing tools to people for a healthy and happy life. Sudarshan Kriya®, the centerpiece of the Art of Living program, incorporates specific natural rhythms of the breath which harmonize the body, mind and emotions. This unique breathing technique eliminates stress, fatigue and negative emotions such as anger, frustration and depression, leaving you calm yet energized, focused yet relaxed. 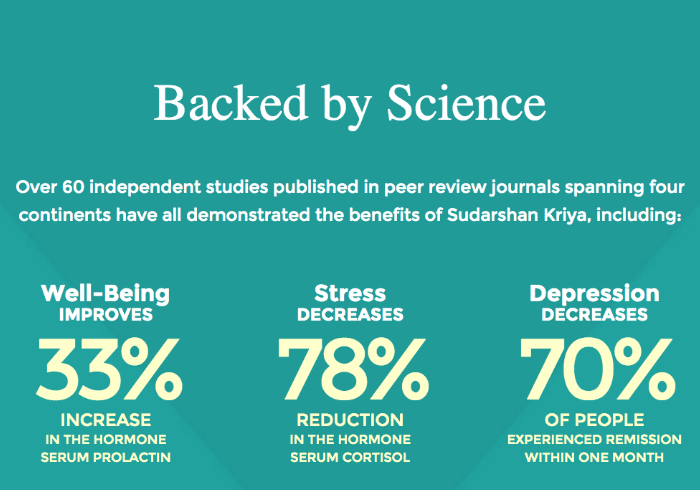 Studies show that Prolactin – a well-being hormone significantly increases from the very first session of Sudarshan Kriya. Millions of people from all walks of life have been touched by the healing power of the Sudarshan Kriya. 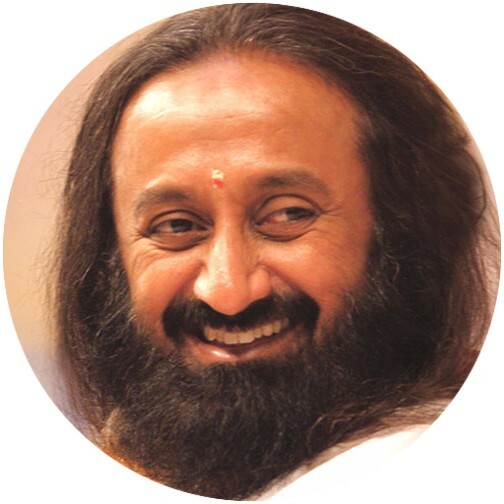 Sri Sri Ravi Shankar is an international humanitarian leader, a spiritual master and a global ambassador of peace. Named one of the “Seven Most Powerful People in India” by Forbes, his world-renowned meditation techniques and meditation helped end the 60-year conflict in Colombia. He has been credited with bringing opposing parties together to facilitate peace talks in Iraq, Cote d’Ivoire and India. Founder of the Art of Living Foundation and International Association for Human Values, Sri Sri is leading the way toward peace and tolerance through meditation and humanitarian efforts. Over 35 years, his programs and initiatives have touched the lives of over 370 million people in over 150 countries.